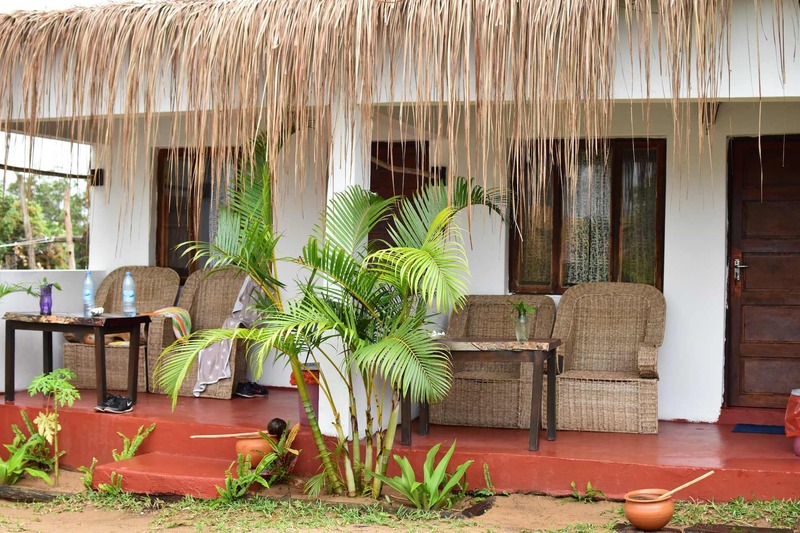 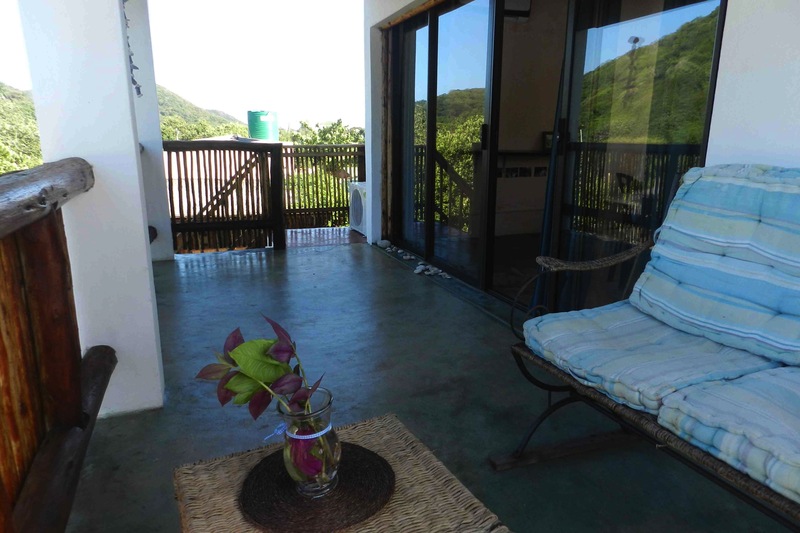 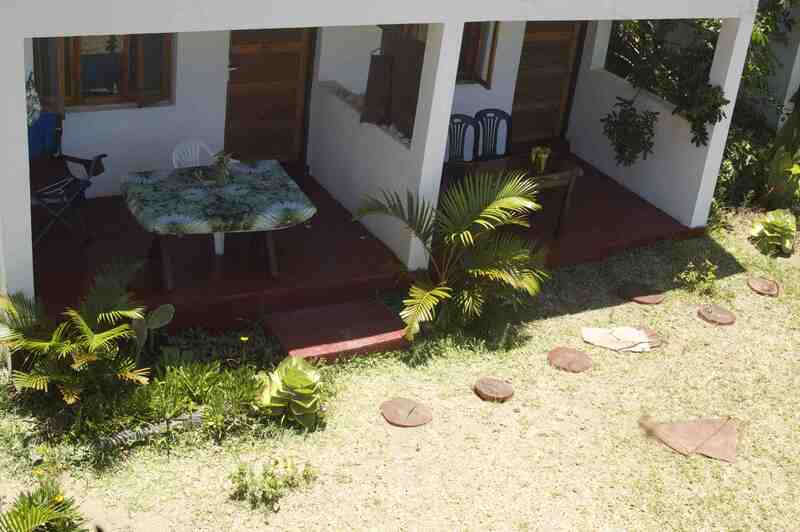 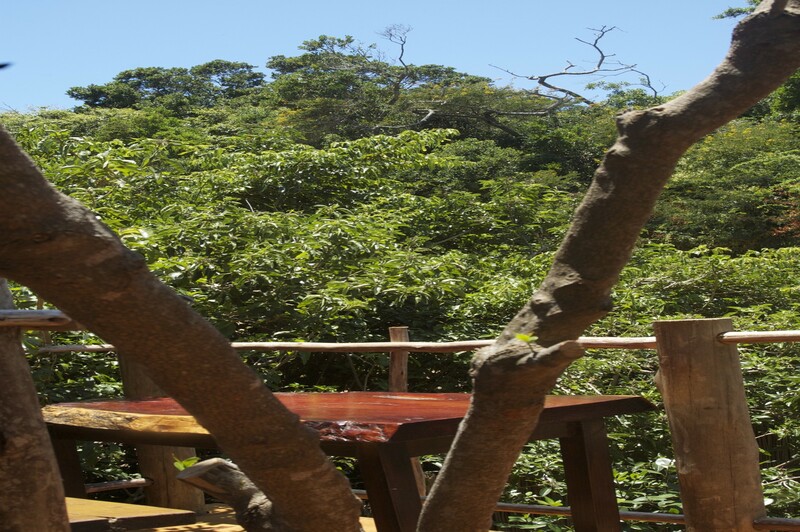 Our Luxury Bungalow has a lovely balcony with a view over the lodge and of the famous green hill sand dune. 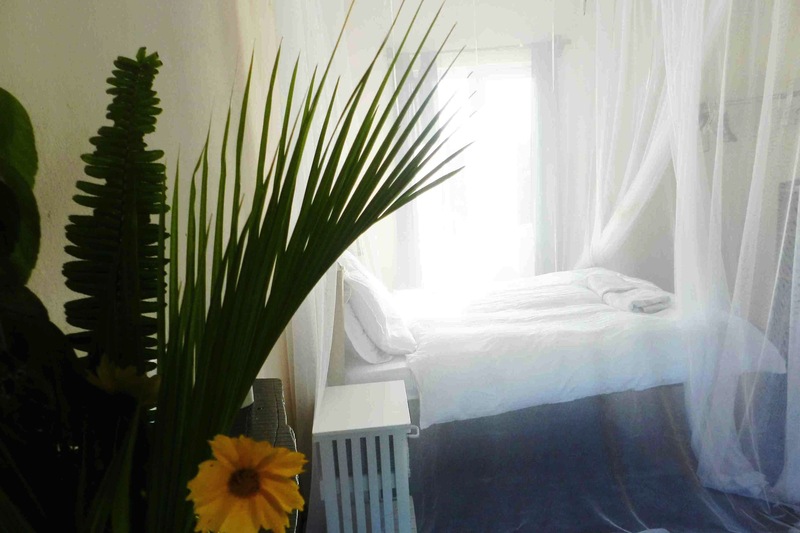 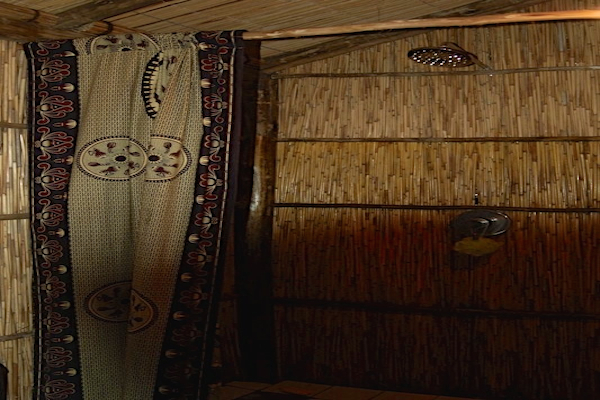 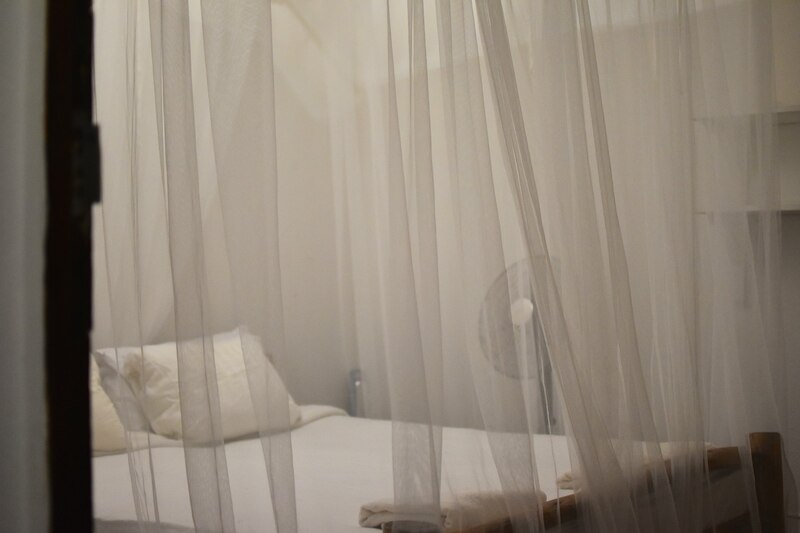 The suite has a king bed with a high quality mosquito net in a lovely room with a desk, TV and DVD. 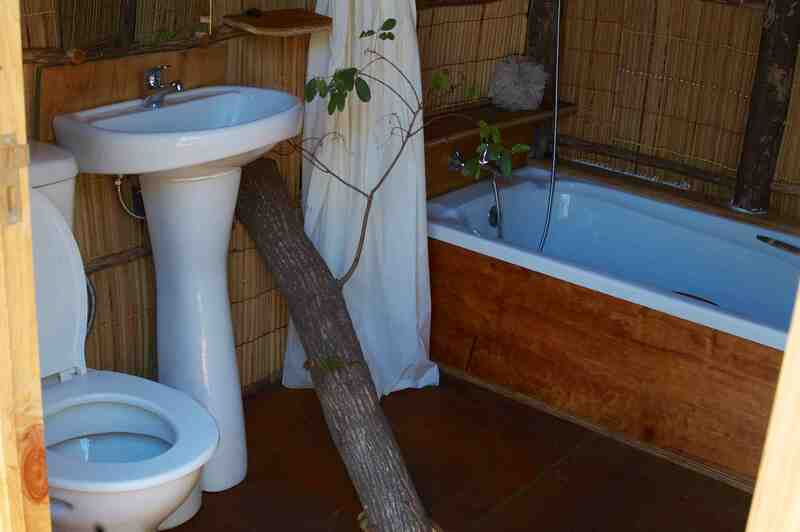 The bathroom has a seperate bath and shower. 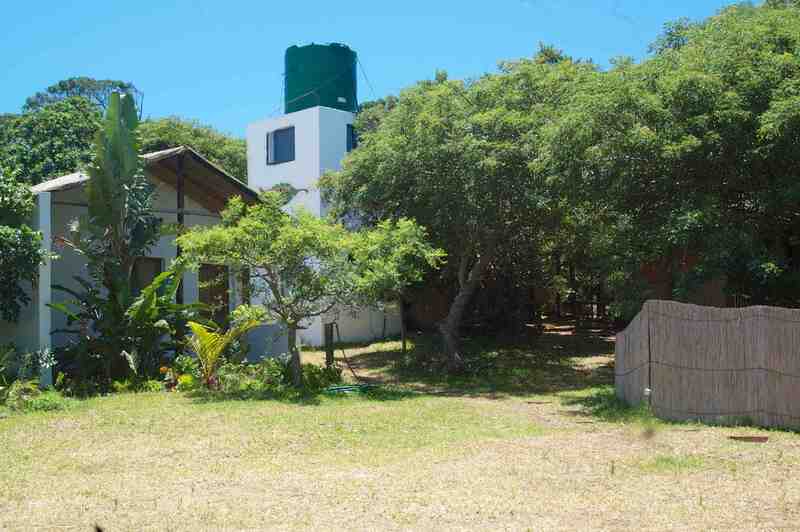 Our Water Tower Bungalow has a small room with a queen bed but a wonderful private deck looking at the green hill and a toilet and bath built on the deck, with part of a tree running through it - we are ecofriendly and did not want to cut down the tree! 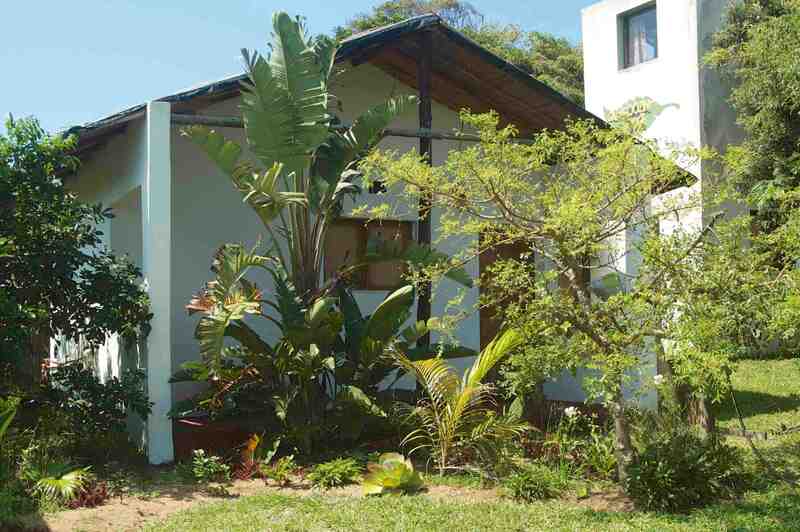 Our newest queen bed bungalows are next to each other, with seperate entrances and are identical in size and set up. 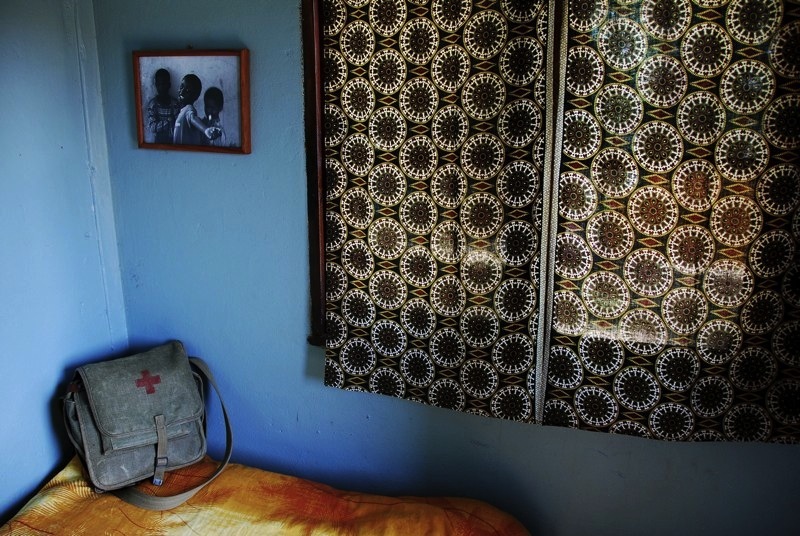 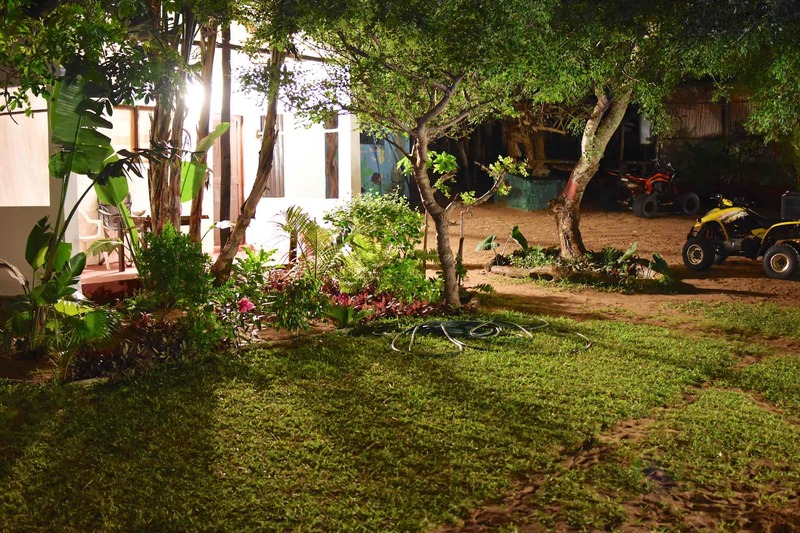 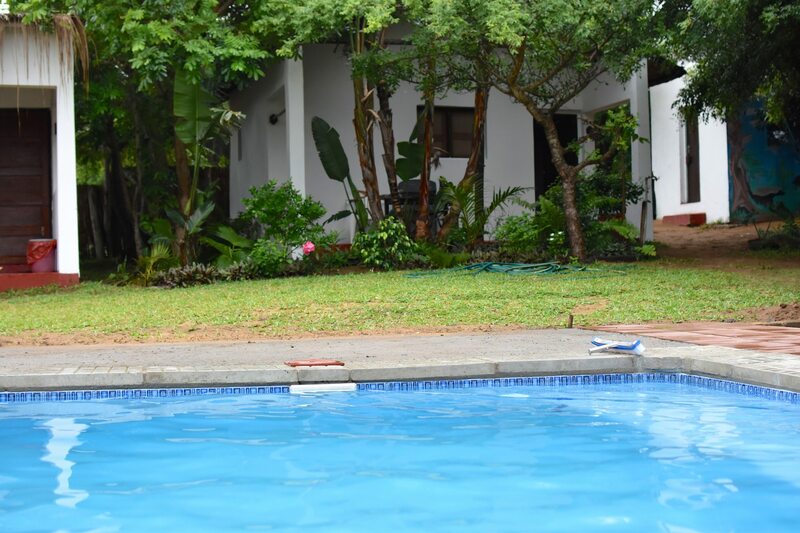 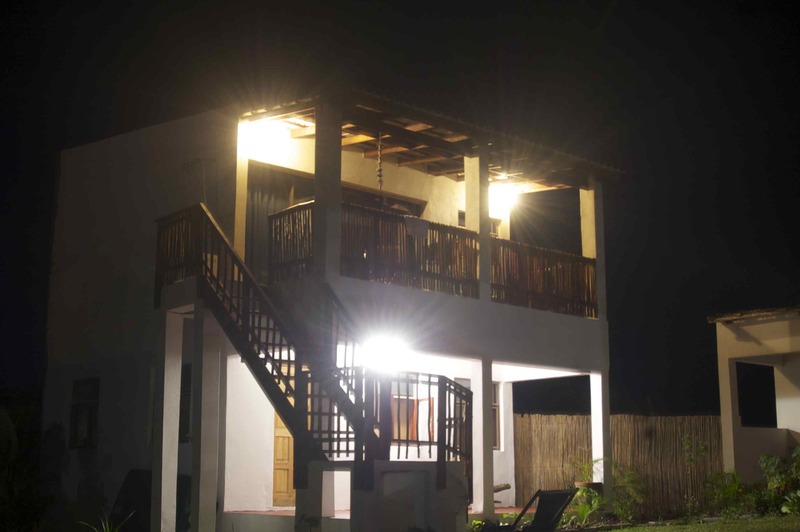 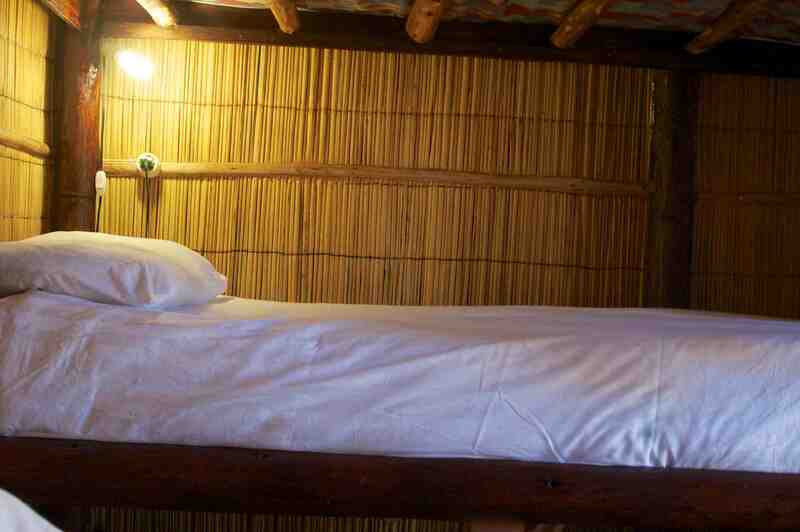 Each bungalow has a lovely queen bed with proper high quality mosquito net and en-suite toilet and shower. 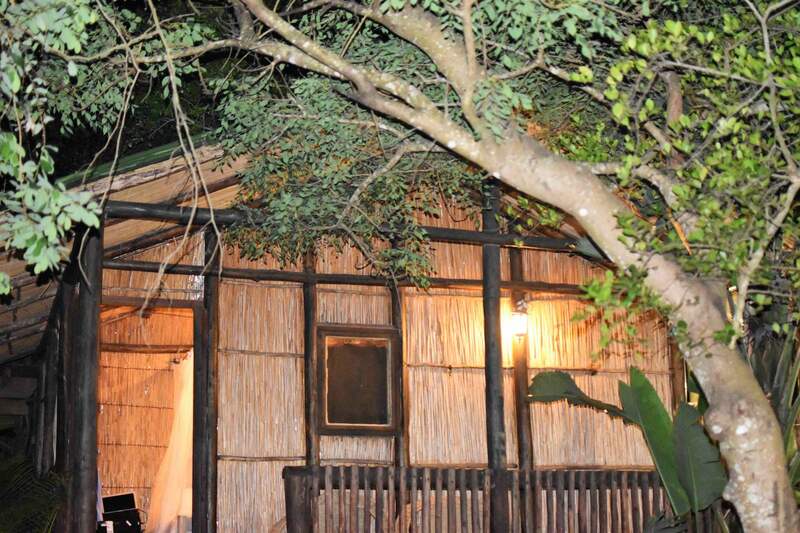 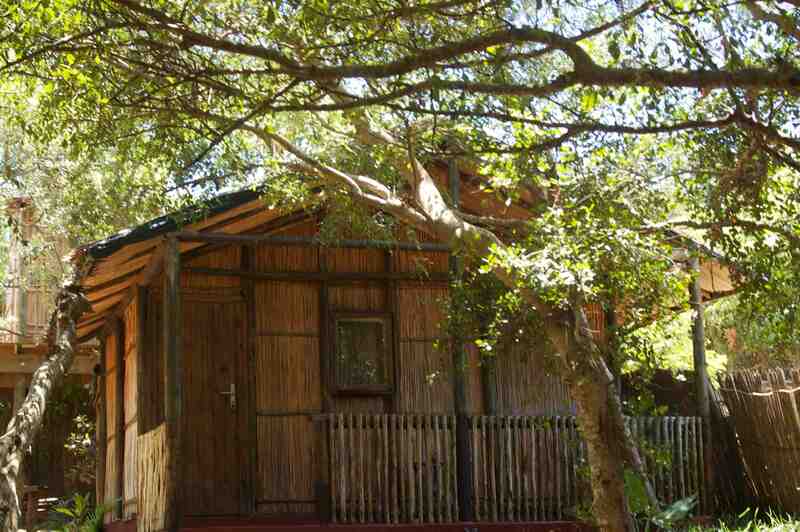 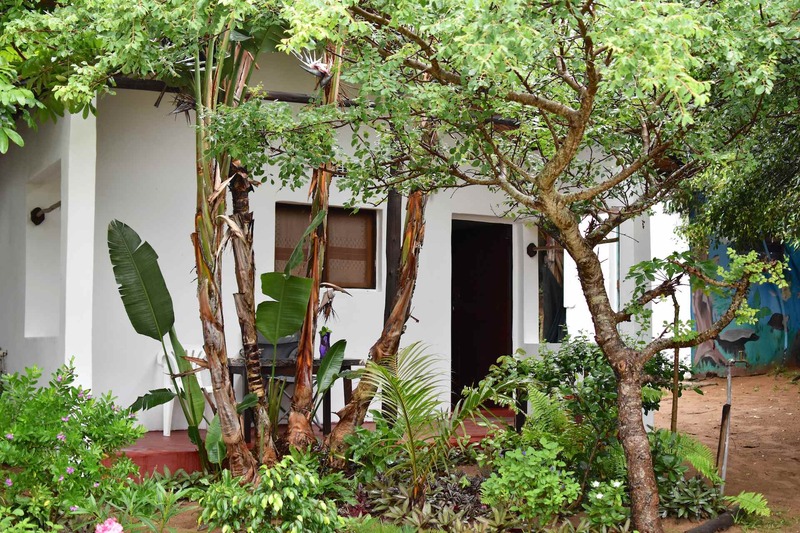 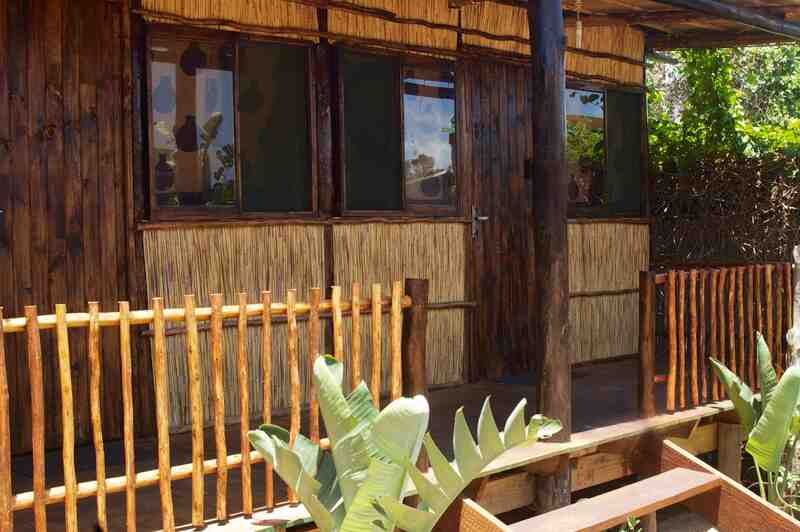 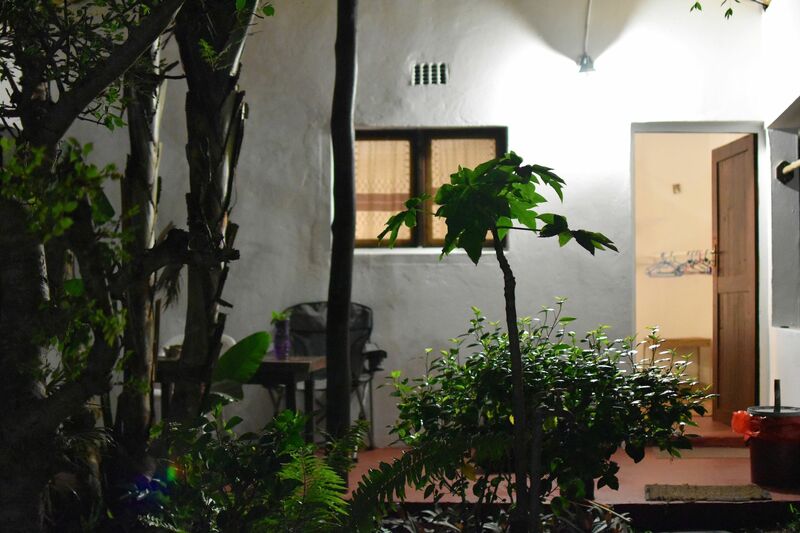 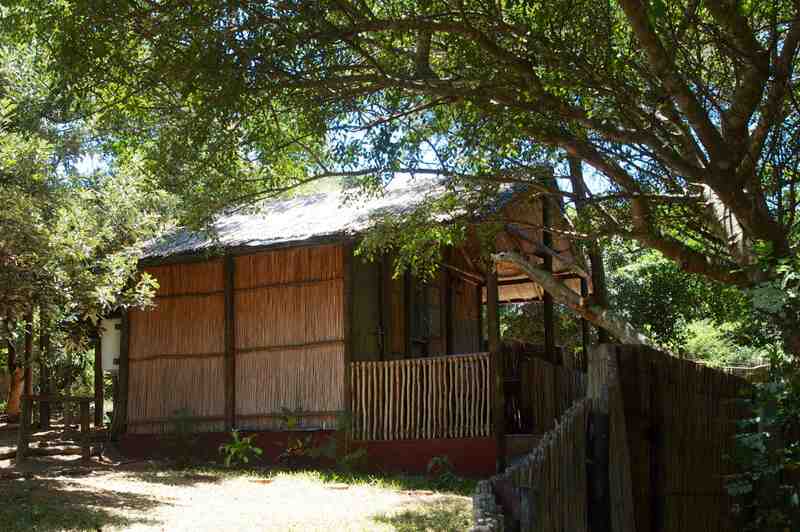 The Bamboo Bungalow is a very stylish bungalow made out of local bamboo, with an en-suite toilet, shower and a nice patio. 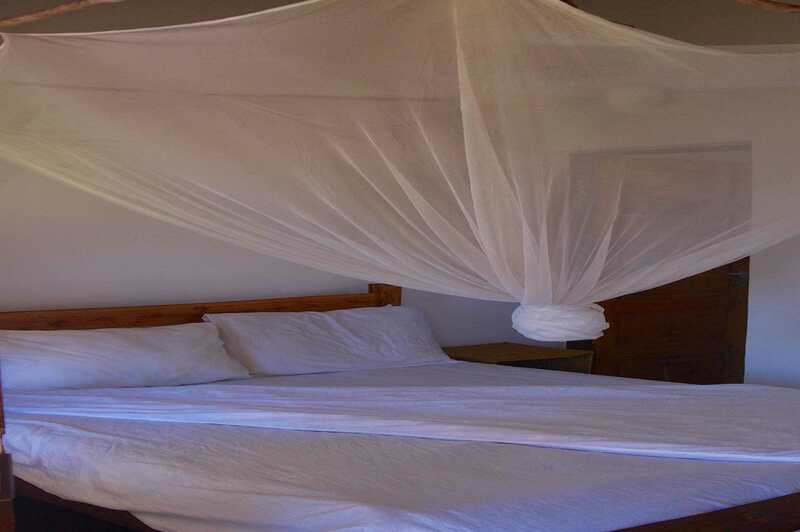 Also with a queen bed and high quality mosquito net. 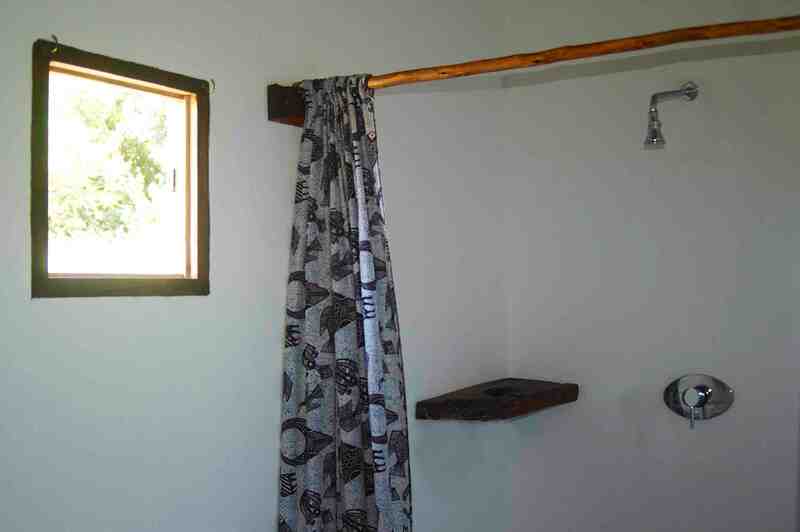 All our bungalows have towels, soap and are cleaned daily. 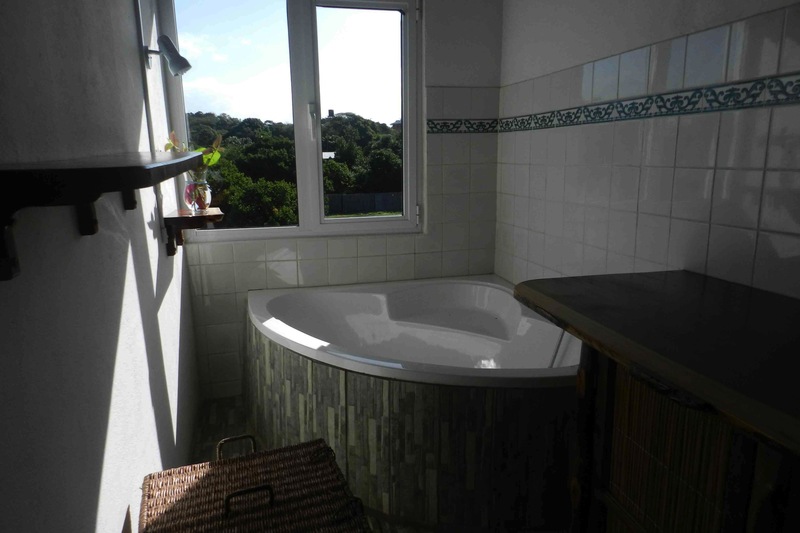 This lovely bungalow has a big queen bed and a en-suite toilet and shower. 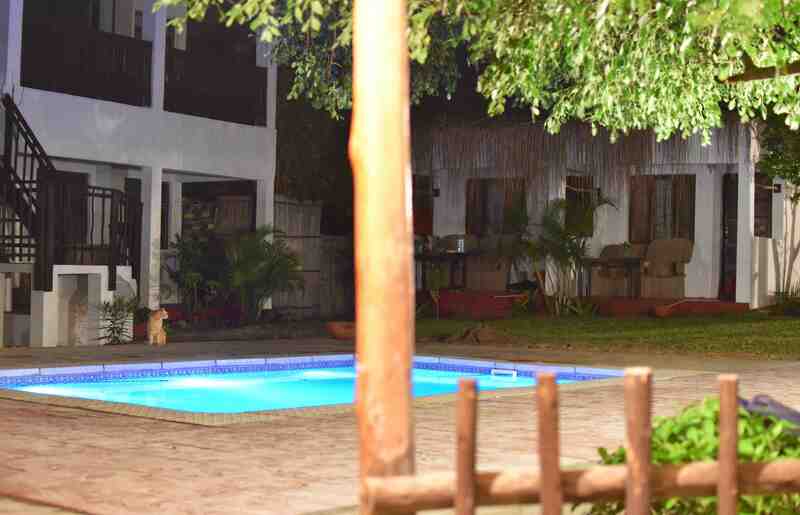 And a lovely patio where you can sit and watch what's going on around the lodge. 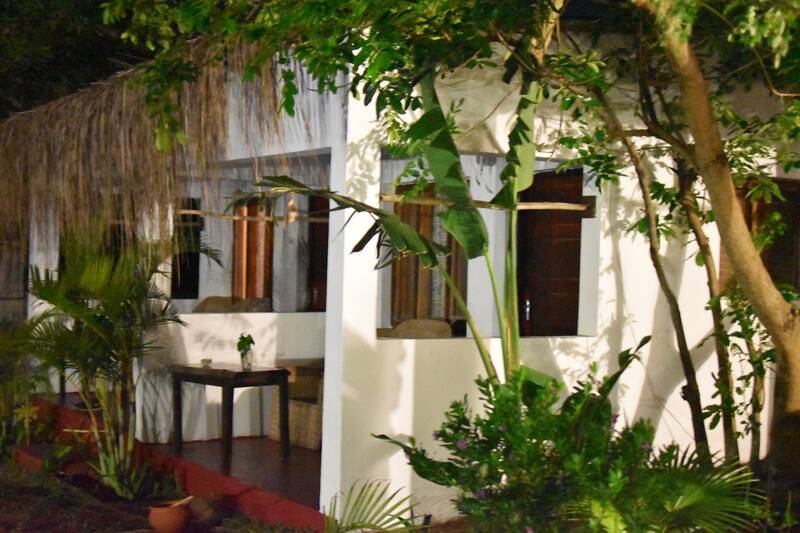 R&R's (the popular local cocktail) not included, but stroll over to the bar and have the bartender make one for you! 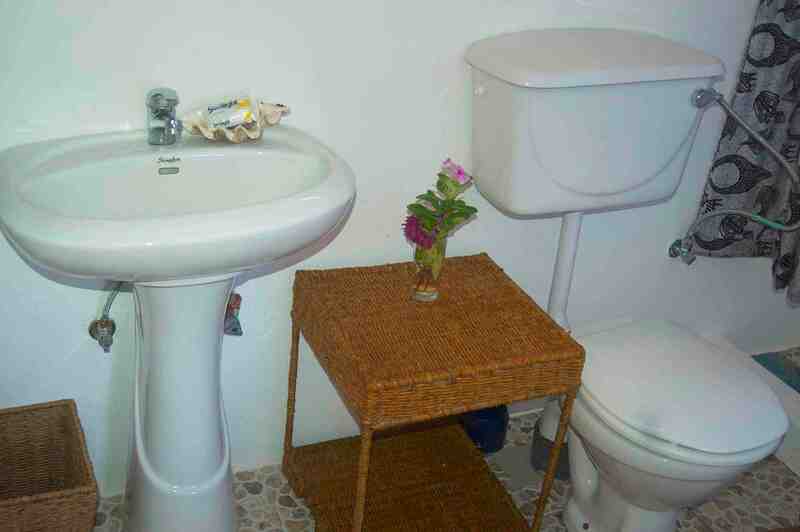 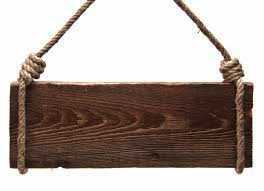 We have two 4 person dorm rooms and one larger 10 person dorm room. 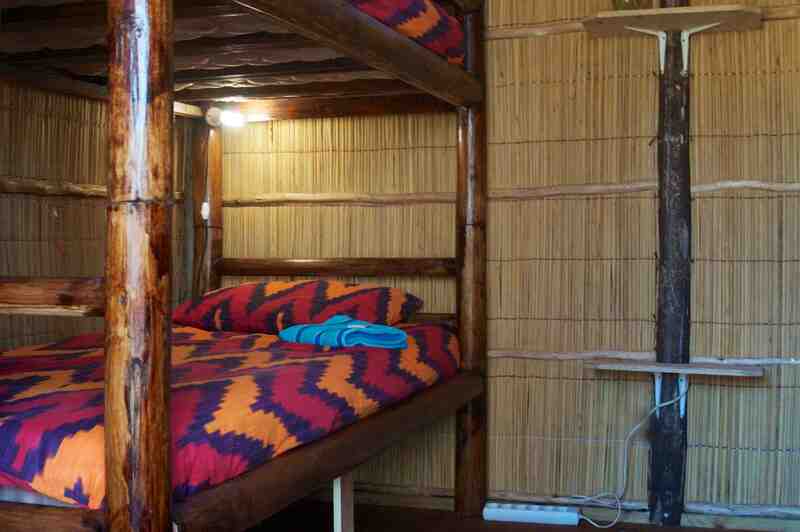 Our dorms are ideal for students and groups. 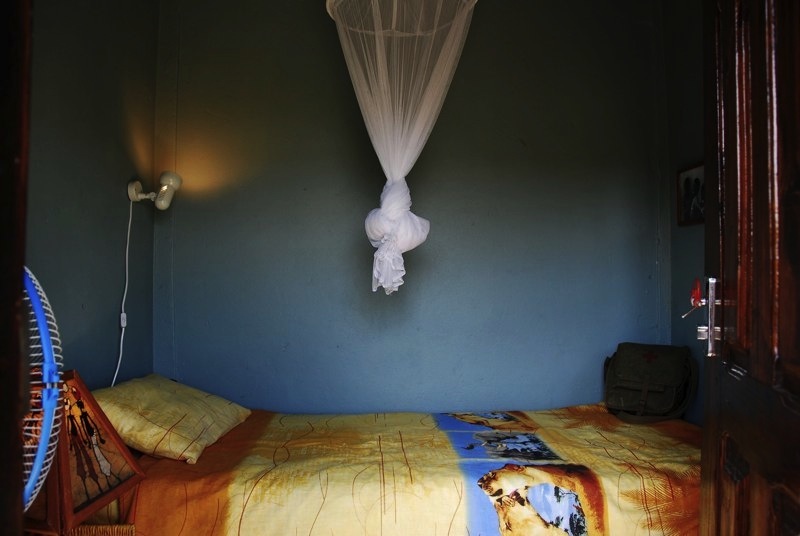 The dorms have mosquito nets, fans and lights and all dorms have a nice patio where you can sit and relax and of course you have access to toilets and hot showers. 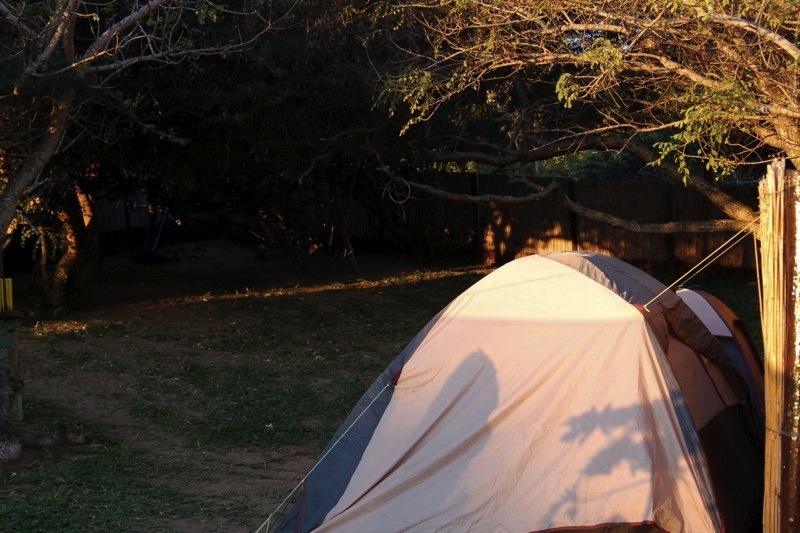 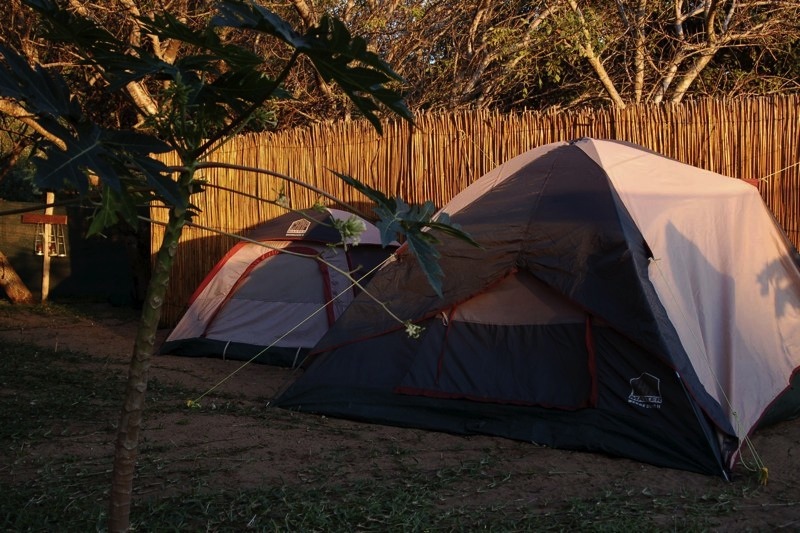 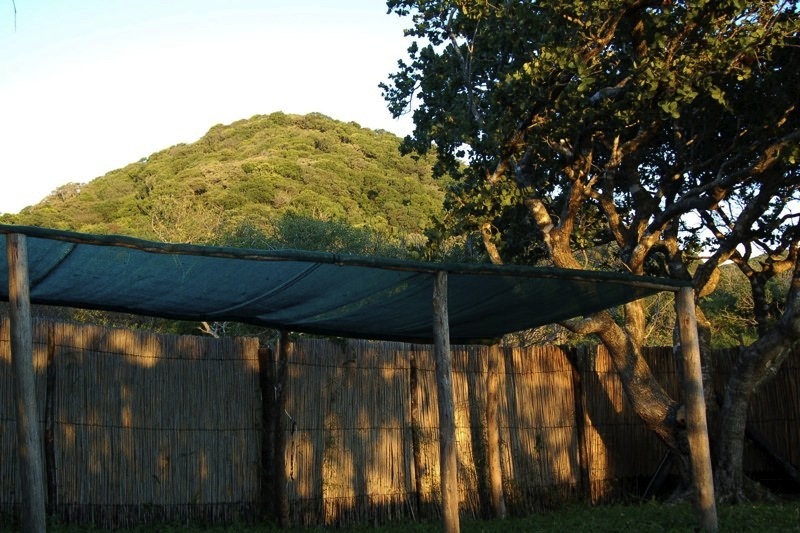 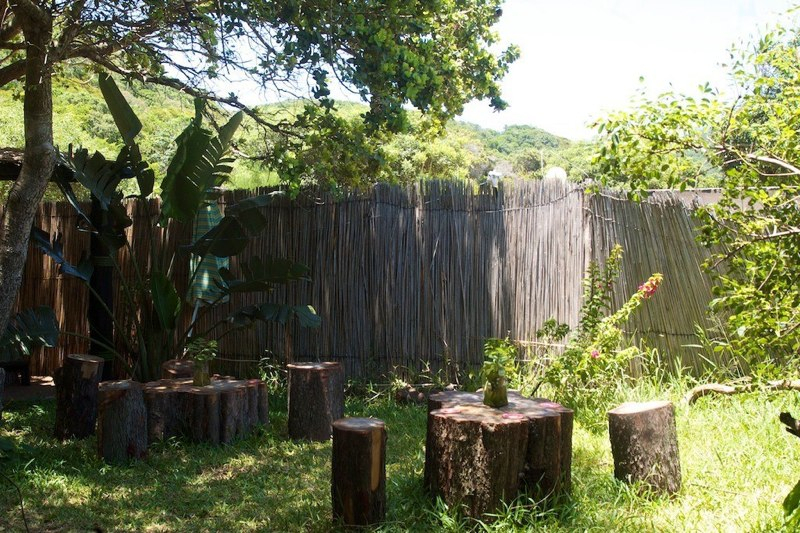 Camping is available at the Gamboozini Lodge. 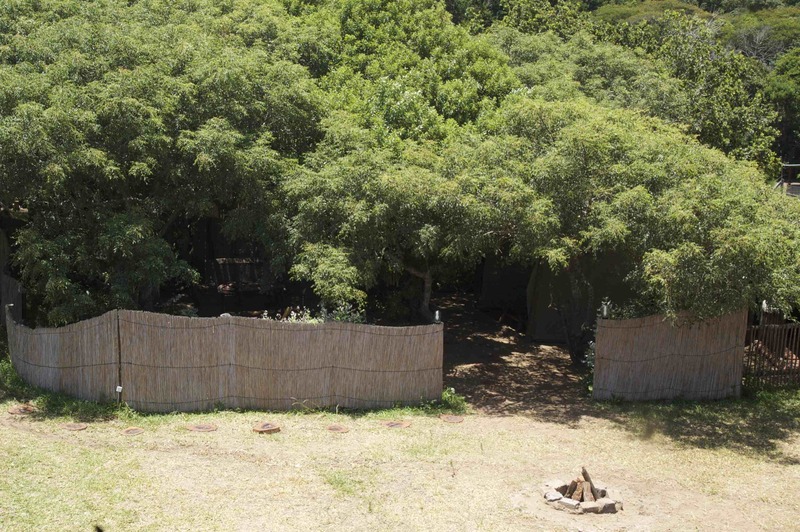 We have spots all around the lodge. 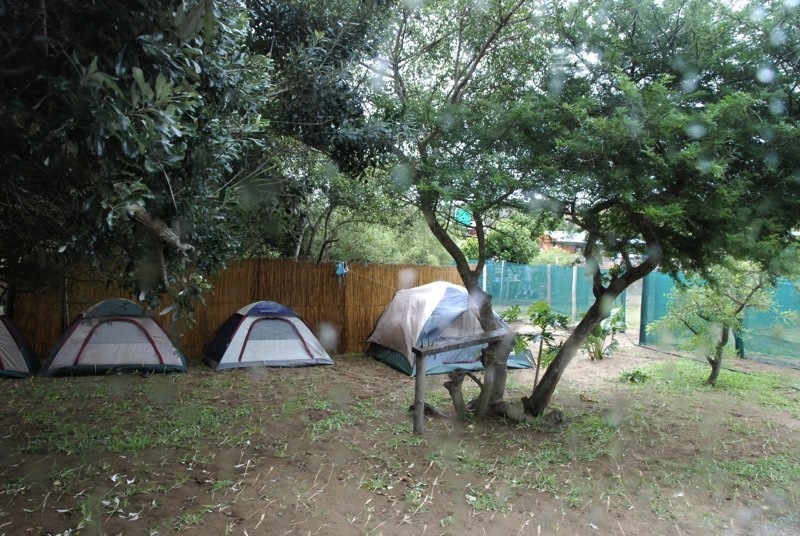 Some under the trees and other spots on our lawn. 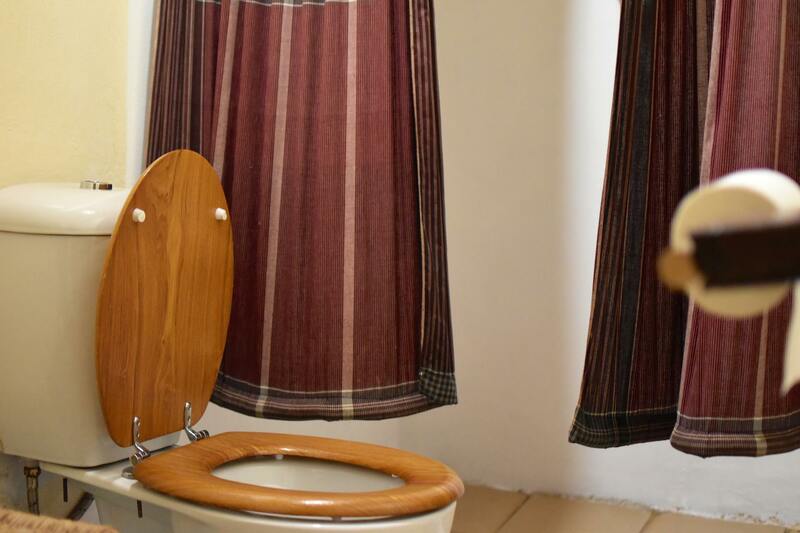 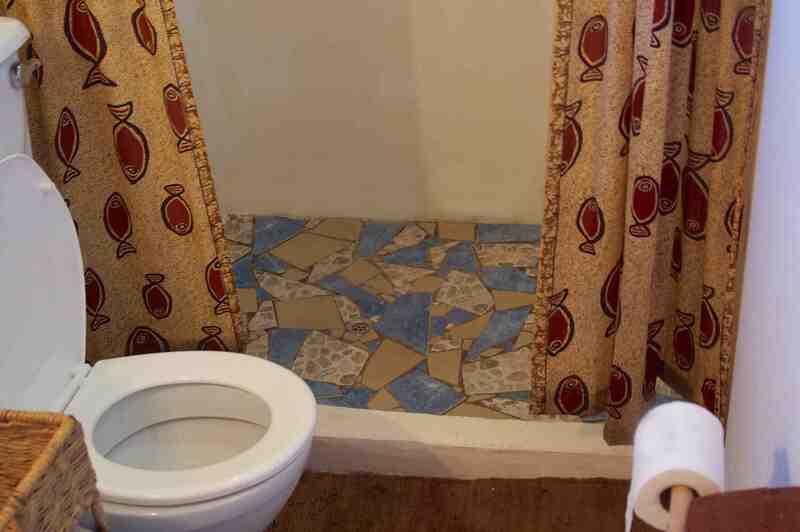 We provide electric outlets and of course usage of our toilets and hot water showers.